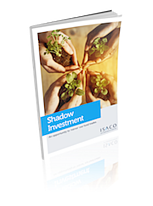 'Shadow Investment’ is a unique service which gives you the opportunity to look over our shoulder and buy the same funds that we personally own, effectively piggybacking on our expertise. The key difference with our service is that we put our money where our mouth is. Our annual investment return aims are 6-8% per year.